How common is it and what help is available? 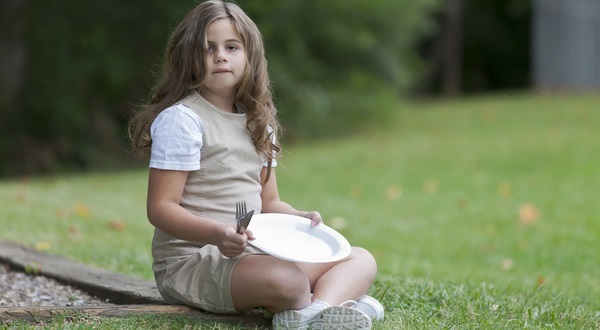 This summer, over a million children may have to rely on foodbanks during the holiday break. Almost two-thirds of children experience hunger and the majority of teachers believe it is getting worse, according to a report by the National Education Union. However, the issue of hungry children gets worse during the summer holidays as children miss out on their free school meals. During the summer break, the added financial pressure of food costs and childcare can push low income families into extreme poverty. Claudia lived with her husband and their two children with autism in London until they got divorced. Claudia, who was self-employed, moved into a one bedroom flat with her kids. However, while her kids were waiting to start the new school year, she really started to struggle. When Claudia was looking for free summer activities for her children, she was pointed in the direction of the Turn2us website. After a phone call with a Turn2us helpline adviser, she received a £1,000 grant from the Turn2us Elizabeth Finn Fund which she used to buy the basics and help her move into more suitable accommodation. Claudia said: “Without this help, I don’t know what I would have done. It gives you hope, which is a very important thing when you are going through a lot of problems. “It is nothing short of a crisis when children are going hungry because families can’t afford to eat. “This is not about shaming the parents: this is about tackling the low wages, high rents and benefit cuts behind this rise in child poverty. “Foodbanks should never be normalised. Children should be spending their summer playing and resting, not starving and worrying where their next meal will come from.